Twitter is among the top 3 popular social media today. Businesses use Twitter as one of their lead sources as well as using it to reach into their customers. 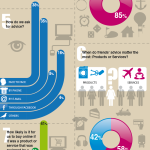 Here are some amazing facts about Twitter user statistics that you might be interested in. 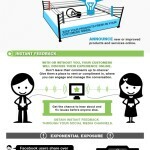 According to this infographic, Twitter sees a shocking 175 million tweets on a busy day! Twitter also gets an incredible 300,000 unique visitors per day. That’s a lot of possible traffic for your business! Here’s the Twitter demographics that make it more interesting. 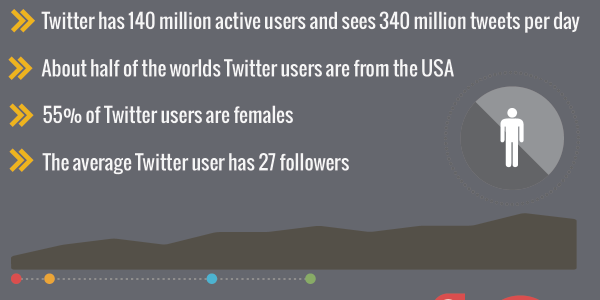 55% of Twitter users are female and about 50% of all users are from the US. 62% of Twitter users are in the age group between 18-34 and averages about 27 followers. Wow, that’s just simply Amazing! Now that’s something to tweet about. Interesting Twitter User Statistics You Should Know Overall rating: 5 out of 5 based on 27 reviews.